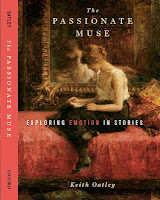 Published now, or about now, is my new book The passionate muse: Exploring emotion in stories. It's a hybrid book made up of a piece of my fiction in the form of longish short-story of seven parts, with each part accompanied by a nonfiction psychological discussion of the emotions you may experience while reading. The short story is called "One another." The challenge in writing it was to move across a variety of emotions so that the psychological discussions could range widely. It starts in the mode of a story of smuggling a prohibited manuscript out of the Soviet Union in 1988. Then it changes to a love story, then through a period of anger and sadness to a different kind of love story. And, although these emotions become centres for the story's characters, the most important emotions are the readers own. If we didn't hope to feel moved by a novel or short story we wouldn't read it. If we didn't expect to experience our own emotions at a film or play, we wouldn't go. Oatley … provides insight not only into how people engage with this particular story, but into how people respond to fiction in general. Equally important, he highlights the value of emotion and the importance of stories for our psychological well-being. He explains why people who read a great deal of fiction have a better understanding of others than those who tend to read nonfiction. Humans are intensely social, and fiction transports us to imagined social worlds, enabling us to meet more people and feel for them in many more situations than we could if we lived to be a hundred. 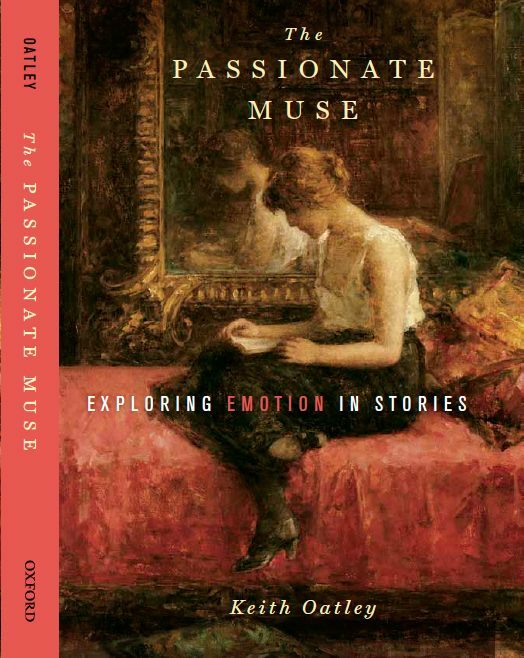 The Passionate Muse offers readers a fresh and exhilarating perspective on the importance of emotion to our appreciation of fiction—and to the vital contribution that fiction makes in our emotional lives. I'm very grateful to Patrick Colm Hogan, Mary Beth Oliver, Suzanne Keen, and Peter Vorderer for having written complimentary recommendations for the back cover. The first review, from Library Journal, says this: "This book will appeal to anyone curious about how and why literature (and art in general) can have a significant therapeutic impact." You can get the book from Oxford University Press (click here) or from Amazon.com (click here) or Amazon.ca (click here). I'd be interested in your reaction. Cheers.